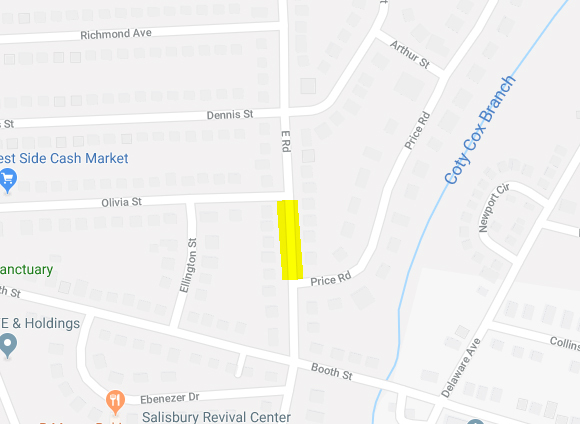 On Thursday, October 18, 2018, as a part of the City of Salisbury’s efforts to improve Water Distribution, The Department of Field Operations will install a new water service located at 809 East Road. East Road will be closed to all traffic from Price Road to Olivia Street. The work will begin at 9:00 am and conclude by 4:30 pm. All locators and Central Alarm will be notified of this event. We appreciate your patience and consideration. Please contact The Department of Field Operations Utilities Branch at 410-548-3105 for more information if needed.